Explore the Arizona Department of Health Services' role in an initiative to improve the response to cardiac arrest through an interview with Will Humble, the outgoing director. Why his department and other groups decided to look for a better way to respond to cardiac arrest. How that effort led to a technique called the cardiocerebral resuscitation protocol. Why getting that information to the public and first responders is essential. The protocol also applied to how hospitals deal with those who have suffered cardiac arrest. 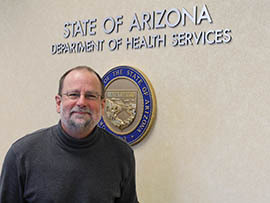 When he took over as director of the Arizona Department of Health Services in 2009, Will Humble’s main focus was “keeping the wheels on” amid deep budget cuts. Preparing to leave the post Tuesday, Humble said his proudest achievements include reforming the way his agency licenses and inspects hospitals, day care centers and more, helping change the recommended response to cardiac arrest and improving the behavioral health system. “Some of the biggest and most important accomplishments are the things that nobody’s heard of,” he told Cronkite News in an interview. Essential to that, Humble said, was turning to stakeholders with diverse perspectives, such as skilled nurses, assisted-living caretakers and policymakers, to help him make decisions. Humble’s departure ends two decades with DHS, where he started as an environmental program specialist. He announced his resignation in February, saying he came to the conclusion that he’d been in the post long enough. He said he didn’t anticipate becoming the director before he was chosen by former Gov. Janet Napolitano. At the time he was deputy director overseeing the Division of Public Health. Humble said he thought at the time that the job came with the governor, but he remained in the post when Gov. Jan Brewer took over for Napolitano. Incoming Gov. Doug Ducey announced that he wanted Humble to stay on. In a statement, Brewer called Humble a “transformative leader” who worked tirelessly to improve public health. “Will’s service to the people of Arizona has changed and saved the lives of countless Arizona citizens,” Brewer said. Humble and the DHS Emergency Medical Services Team collaborated with the University of Arizona and fire departments and hospitals across the state on a study that found continuous chest compressions rather than pausing to administer mouth-to-mouth resuscitation far more effective at saving lives. The technique, cardiocerebral resuscitation, became the standard for first responders in Arizona and some other states. One of Humble’s priorities was changing the way DHS regulates health care and behavioral health facilities in Arizona, including hospitals, outpatient treatment facilities, assisted-living centers, midwives, nursing homes, child care facilities and group homes. He and others at the agency spent two years talking with stakeholders with the regulated groups and pored over the existing regulations before announcing a regulatory reform initiative in 2013. The new rules start with minimum standards but require operators to come up with additional policies and procedures, ways to measure the outcomes of patients and residents and plans for adjusting how things are done to improve outcomes. “It was such a grind but was really worth it because in the end we’ve got regulations that actually encourage innovation and are tied to outcomes,” he said. Bob England, director of the Maricopa County of Department of Public Health, said involving stakeholders has allowed Humble see things differently. For example, he said, Humble’s approach to obesity differed according to each county’s needs. “His general direction of programs helped to make things as flexible as possible for locals,” he said. England said that under Humble DHS’ relationships with local officials and partners have never been better. “He’s been there long enough that he’s instilled a culture of bigger picture thinking, that I’m really confident that the folks he’s leaving behind are going to continue his ways,” he said. Humble, who said he hopes to continue working in the health field, said he hopes his successor understands the importance of communicating with the public, something he did through a popular blog. He also hopes his successor will continue and build on initiatives he and his team created. 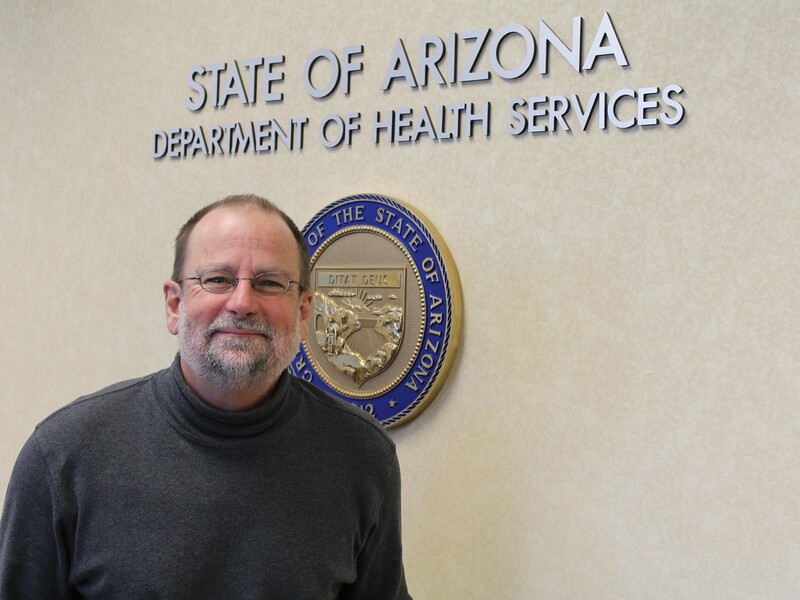 Will Humble, who left Tuesday as director of the Arizona Department of Health Services, says his prouded achievements include reforming the way his agency regulates health care and behavioral health providers.